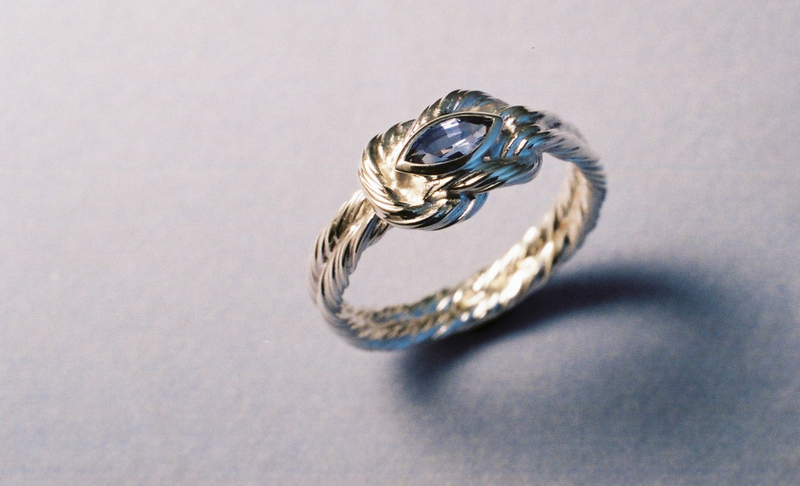 25th Silver Anniversary ring. A wreath knot design constructed with twenty four fine strands of sterling silver, twisted and tied together forming the knot. Centrally mounted pale blue ‘Ceylon’ sapphire, marquise cut in a rubover setting. Simple idea, tricky to make.